As if there are enough decisions to be made about which stage to watch at one festival, I’m now torn between two festivals. Last year I hit the Newport Folk Festival and had an amazing time. The lineup was great…good discovery…good crossover…loads of hipster fashion. The lineup in Newport this year is amazing (see link below). Gillian, Emmylou, JTE, The Decemberists, Delta Spirit, David Wax Museum (again!) and more goods. This year I was thinking about trying something different and was shocked to see how good the lineup is in Floyd: Old Crow, Taj Mahal, Xavier Rudd, David Grisman, Dirk Powell, The Red Stick Ramblers and more. BUT – they are the same weekend. 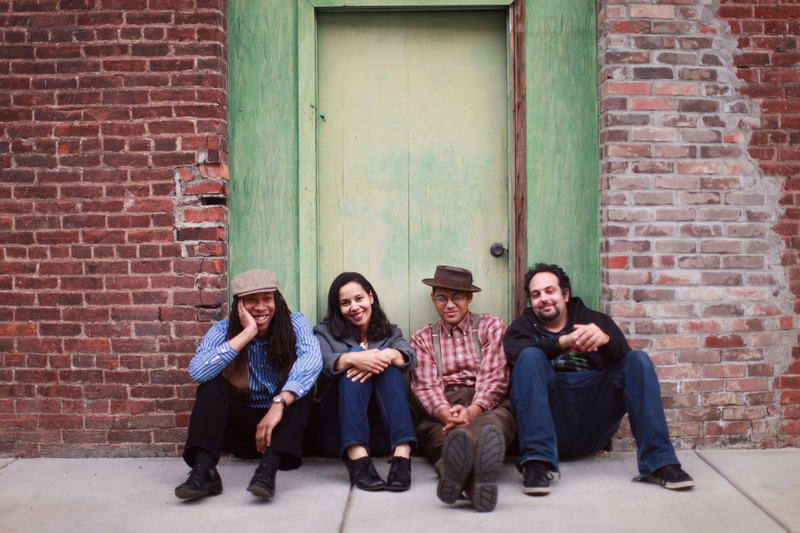 The Carolina Chocolate Drops are hitting both, but I don’t think I could pull that off (unless they want a blogger to ride with them – guys? eh, eh?). Floyd is camping. Newport is B&B or hefty commute each day. Newport is closer (to civilization and my current location). Floyd is an escape and a true Americana environment. Festivarians in Floyd will jam with you. Festivarians in Newport are too cool for school. Floyd is North Face & Carhartt. Newport is $200 (rolled) jeans. Floyd takes its time, so it’s four days. Newport wraps it up in two (unless you hit the Friday night stuff). I’m pretty set on going to one or the other. Which one? Please advise. I’ll cover both, but will have some REALLY good coverage of one. P.S. The Chocolate Drops have two new band members, human beatboxer Adam Matta and multi-instrumentalist Hubby Jenkins, (both from NYC) since Justin Robinson dropped out. Yes, but which one loves you more? We do. Hit us up for a press pass and come drink some free Magic Hat. We loved your review last year. Also, just for the fashion record I run the darn thing and I wear jeans a buddy of mine makes or old beat up shorts. By the way, if we weren’t, you know throwing a festival that weekend we’d be at Floyd in a heartbeat. Wow. That is SOME offer and I did have an amazing time last year…and Magic Hat is amazing. Leaning your way. If you go to Newport, and run into my Goddesses, The Wailin’ Jennys, tell them to get their pretty behinds to the Pacific Northwest! As a devoted Floyd Fest fan/ veteran volunteer, I have got to put in my vote for FLOYD! Yard Dogs Road Show is one great reason! You are spot on about the difference in vibes. Yes you will get dusty at Floyd fest, and then chill in the shady beer garden. The big disappoint is that Xavier Rudd cancelled, But Toubab Krewe is not to be missed. I do not need to mention Taj Mahal but i guess i just did. Also, I have never been, but does Newport News have all night bonfires at the late night stage, and Scintillation Fire troupe performing during 4 sets? ?… just curious. Come on out and get your feet dirty. Melanie, I would love to party with you, but decided to head to Newport this year. Hopefully I’ll be able to swing it next year. Have fun! 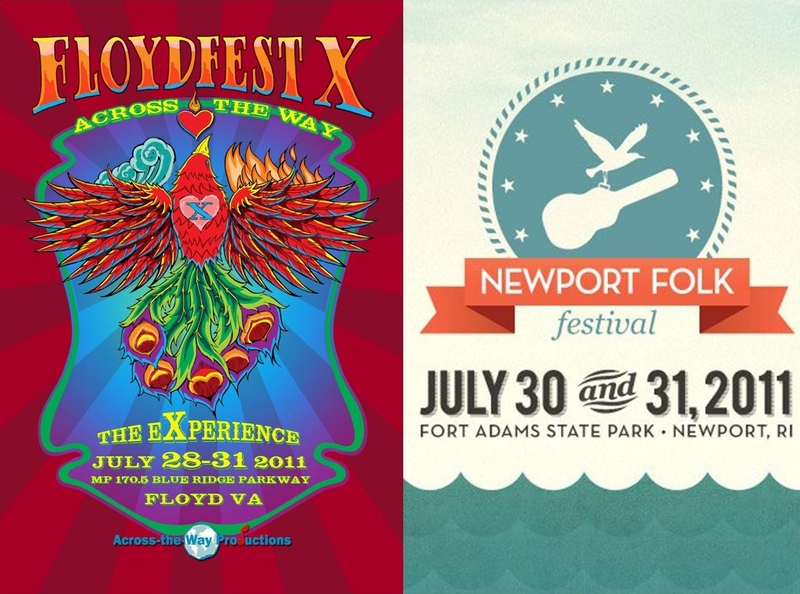 Not sure about the camping jams at Floyd Fest, but last year Newport did a BBQ that evening, which was amazing. It wasn’t campy though…more of a pricey thing, but great access to artists.